The Bible is one of the most extraordinary books ever written. It remains an international best seller 2000 years after it was completed and has been translated into over 2000 languages. For millions of people across the world, it is the bedrock of their faith and an invaluable guide to life. Many will say that it has the power to change lives as it has transformed theirs. Although it is popular, the Bible is not easy to understand at the first glance. It is actually made up of 66 books which are a mixture of history, songs, poetry and wisdom. It contains valuable teaching, great insight, and stories of people’s lives which give us examples to follow and pitfalls to avoid. So how do we get to know the Bible? The 66 books of the Bible are broken into 1189 chapters which are subdivided into over 31,000 verses. Through the #biblein80tweets selects just 80 of these verses to tell the story of the entire Bible. They are chosen to help you get to know the storyline of the Bible and how the different books fit together. It starts at the beginning and takes you right through to the end. 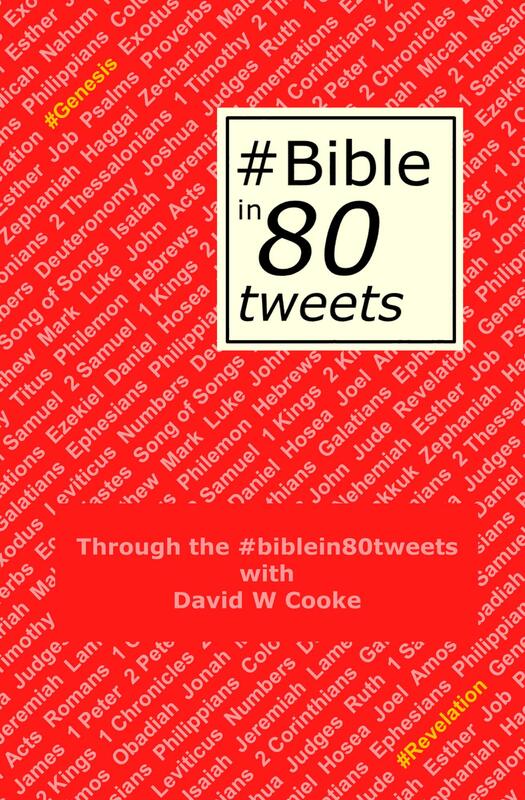 It is my aim to make the Bible as accessible as possible so this book was originally published on Twitter by @biblein80tweets in 80 days from September to December 2013 and was read on every continent. Now it is available in book form you can enjoy reading the story of the Bible for yourself. Alternatively you can listen to “Through the Bible in 80 Minutes”. Follow the link on the right for details.